CPI win FSE, the leader program that allows you to apply the principles of safety engineering for fire fighting and for the evacuation of people to safe places. 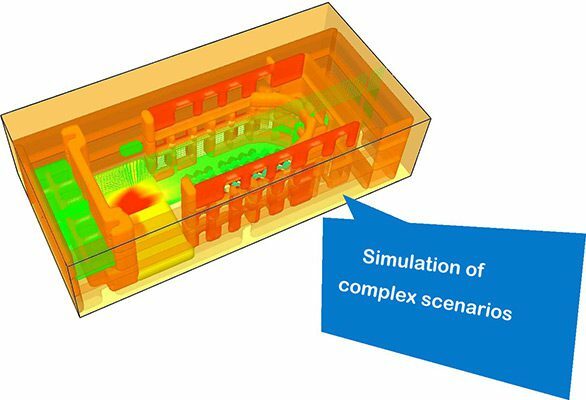 CPI win FSE, namely Fire Safety Engineering, allows to analyze the spread of fire and study the development of combustion products through the calculation engine FDS developed by NIST. When integrated with the FSE Evac module allows you to design and test the escape routes and the security plan correctness. 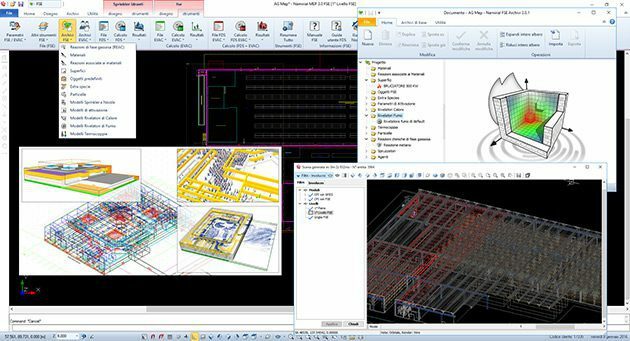 CPI win® FSE allows to rely on a intuitive and easy CAD in MEP Technology, the same as CPI win® SPIDI, in fully drawing complete fire sceneries. Displaying video of calculation results through the viewer SMOKEVIEW highlighting all the characteristic parameters such as temperature trend and smoke developed during the fire, etc. GENERATION OF TIME-TEMPERATURE curves that can be employed in CPI win REI for the verification of the fire resistance of the structures. 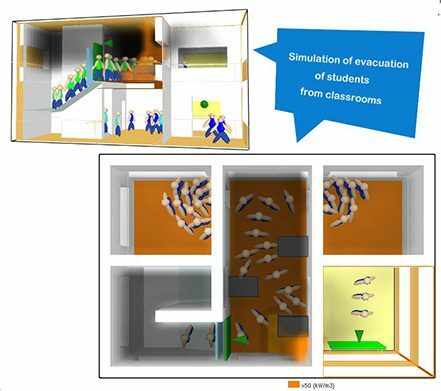 with EVAC module, it allows the complete simulation of people evacuation from the site subjected to risk, both in presence of fire or not, considering the structural context, the environment and the behaviors of people involved in fires. This powerful tool will automatically manage the perception of the danger from the people and implement choices to reach a safe place. It is possible in starting from the scenery used for FSE simulation or creating a new full scenery where, besides the environment, it is possible to specify and assign different kind of people MOVEMENT SPEEDS. The EVAC module takes into account, in the study of the scenarios, the BEHAVIORAL FACTORS occurring during the exodus that influence decisions for the evacuation of the people involved, for example, the familiar and / or visibility of the emergency exit, according the amount of smoke or the gas temperature. In this case the post-processor module also provides reference data and interpretation easy. CPI win® FSE is the first European software able to apply the Fire Safety Engineering principles. It is a powerful analysis tool for studying the “phenomenon of fire”, anticipating its development, propagation and effects on people, structures and objects. Through CPI win® FSE you can simulate incidental events using mathematical models, so you will be able to study the phenomenon of fire using strategies and technics whose validity can be demonstrated and accepted. CPI win® FSE, uses the calculation engine FDS (Fire Dynamics Simulator) version 6.x, developed by NIST (National Institute of Standards and Technology – www.nist.gov). CPI win® FSE-EVAC is the ONLY software in Europe that lets you simulate and value building evacuation capacity under emergency conditions. 1. Fire Safety Exemptions When compliance cannot be achieved with the required fire safety standard, CPI win® FSE-EVAC principles allow to obtain fire protection exemptions, especially if planning, architectural, structural or production constraints exist. The program is very useful also in the event that only general prevention and protection principles can be applied. 2. 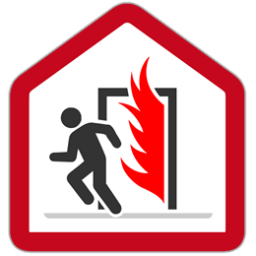 Emergency fire evacuation plan CPI win® FSE-EVAC simulates people evacuation process in order to plan fire drills and practically verify the results. The evacuation of a large number of people in a short period of time can easily cause dangerous situations. CPI win® FSE-EVAC allows to verify if the emergency fire evacuation plan works properly.